"Eh Joey, can I have a feel of your hair? You constantly dye it in the loudest of colours, but how is it not as bad as what I expected? By now it should have been 'spoilt'!" I have seen people who've dyed their hair only in shades of brown colour, and the state of their hair looks worse than mine on the outside. Frizzy, dry and weak - they dare not even think about going through bleaching. Other than the fact that my hair is naturally already quite strong, I also put in an immense amount of effort into the care. Hey, things like this don't drop down from the sky, ok! I stumbled upon the coconut oil from reading magazines and news articles from interviews with models. Countless of them kept gushing about the benefits of coconut oil over the years! Did my research, and despite being skeptical about it, I decided to give it a try few months ago. Now it's my absolute HG! A friend couldn't understand my obsession until I made her try it for herself. Now she's a convert too, yay! Oh yes, a tip! One temporary way to make your hair look good is, of course, through styling. I usually use a hair straightener to curl my hair inwards to create a wave at my hair ends. Trust me, you wouldn't want to see my messy hair when I don't style it. 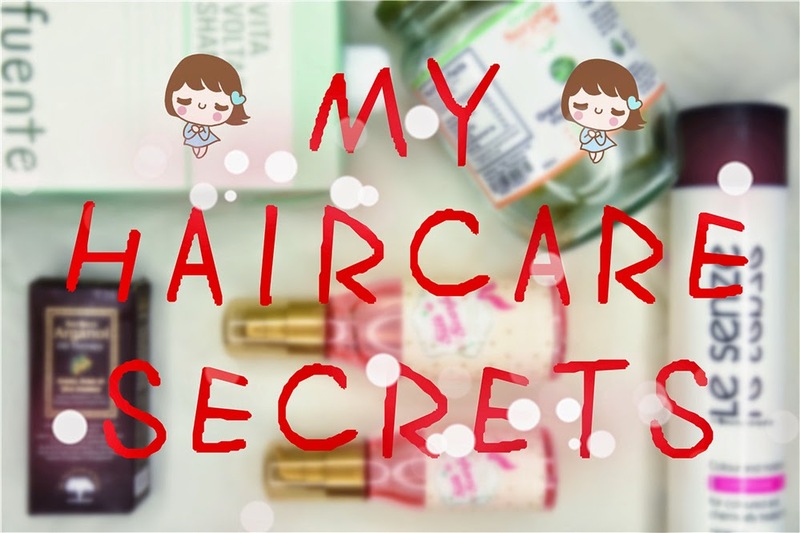 Do you have any hair secrets to spill as well? Or products hoping for me to try? Let me know! Where do you buy your coconut oil from? Hey! :) I bought it at the organic store near my house. However, it seems like it has closed down... Actually you can use any coconut oil, it should be fine!